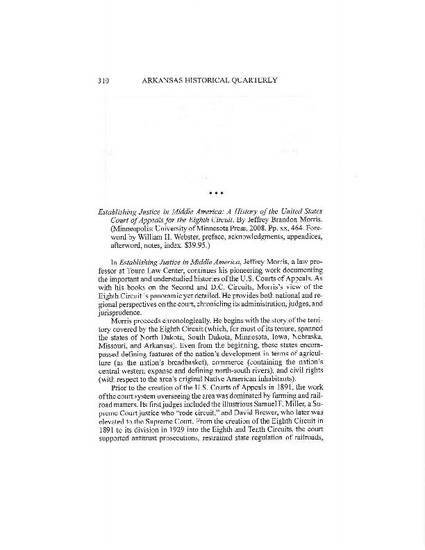 This is a book review of Jeffrey Brandon Morris's "Establishing Justice in Middle America: A History of the Eighth Circuit" (U. Minn. Press 2008). Book Review: A History of the Eighth Circuit, 67 Ark. Hist. Q. 310 (2008).